For your consideration is this beautiful, repurposed, Dyrlund of Denmark hutch top. These are often used as bookcases, sideboards, or display cabinets to show off your decor. We've even seen people throw some D-rings, or french cleats, on the back and mount them to their wall to make a floating cabinet. 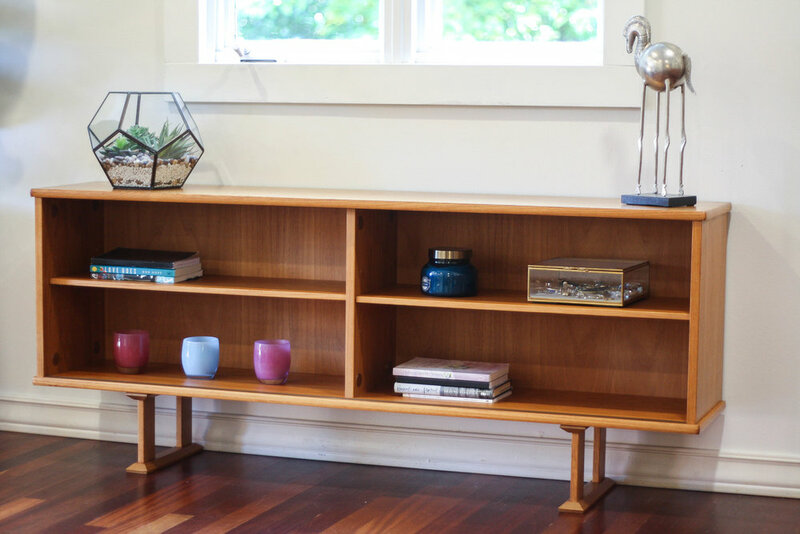 Or obviously you could throw it on top of your mid century sideboard to have a completed wall unit. This vintage display is in very good condition minimal blemishes and imperfections. Hard to come by a piece that's 60 years old and in this good of shape. See photos. Glass sliding doors can be add/removed in less than 5 seconds.